Fearless Foursome: Lock & Win! 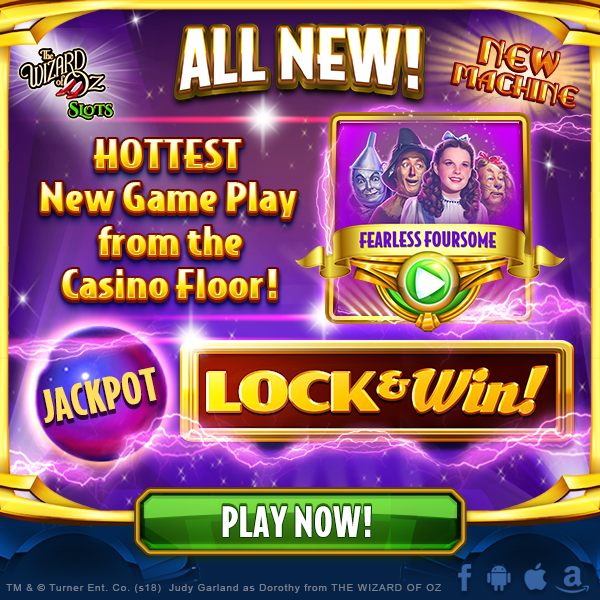 the hottest game play from the casino floor is now available in Wizard of Oz Slots! for a chance to lock up one of FOUR JACKPOTS! Instant credit symbols build your prize and trigger respins! Lock up the whole board to get the BIGGEST win of all! Remember, High Roller World is unlocked forever! If that’s not enough, you now get XP in High Roller World!